Incarceration is not always the right punishment for some offenders. Sometimes rehabilitation is more appropriate, which is why there are probation officers. While probation officers may not be the offender’s best friend, probation is a key element in the rehabilitation process. What Does A Probation Officer Do? When an offender is given probation instead of incarceration, a probation officer is assigned to the case. A probation officer meets with the offender on a daily basis to make sure he or she is following the terms of the probation. Probation officers help the criminal, who most likely committed a misdemeanor, settle back into the role of a citizen. To determine the best course of action to rehabilitate the offender, the probation officer first evaluates the case before offering resources. You discuss and arrange the best treatment for the offender. You'll supervise daily and meet with family and friends to keep up with any details the offender may have failed to mention. A probation officer’s caseload may vary, depending on what you have happening at the time. Oftentimes, you may have heavy workloads, and overtime may be necessary. Find training at a top criminal justice school near you. What Kind Of Education Is Needed To Become A Probation Officer? Many federal institutions require probation officers to have a bachelor’s degree, and some may even require a master’s degree. Most employers require a background check, drug test, and competency exam of their potential employees. A bachelor’s degree in social work, criminal justice, behavioral science, or a related field is recommended. The same goes for the master’s degree programs. However, requirements can vary from state to state. Probation officers are expected to go through a training program offered by their state or federal government. This is followed by a certification exam. In some areas, one year of training experience is necessary before you can begin working in the field. 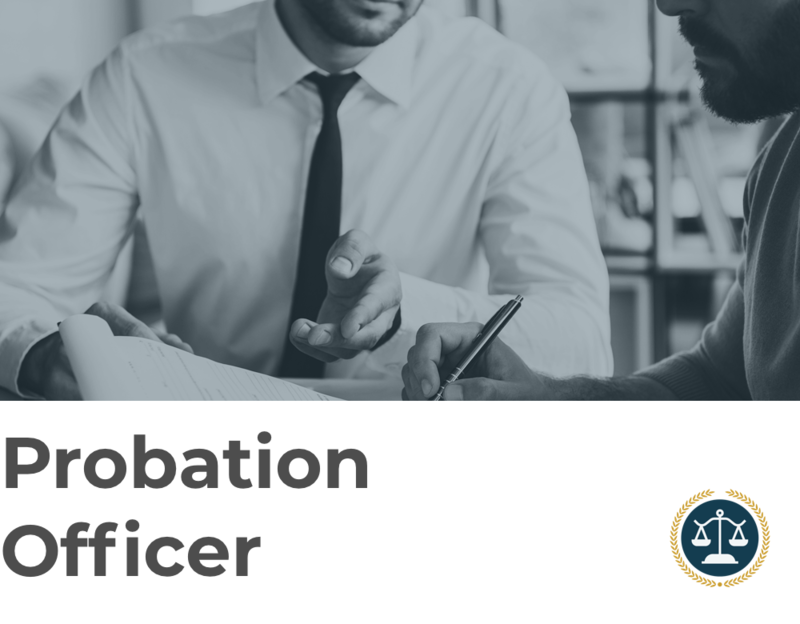 Important qualities for a probation officer to possess are strong communication, critical thinking, organizational and decision-making skills, as well as emotional stability. How Much Does A Probation Officer Earn? The Bureau of Labor Statistics states that probation officers earn a median salary of $51K annually. The highest 10 percent earn $91K, while entry level makes $34K. Probation officers usually work full time with a lot of overtime due to their caseloads. There may also be extensive travel. There is an expected 6 percent job growth outlook for probation officers, which is directly in the middle of average. However, there are many job openings each year because of heavy workloads and people retiring. Therefore, jobs should be available to those who qualify. Try our introduction to criminal justice practice test.